Humankind seems to be waking up to the consequences of its careless treatment of the planet it calls home. There is a growing number of meal delivery services that use recyclable packaging in order to reduce the horrific amount of waste they generate on a daily basis. 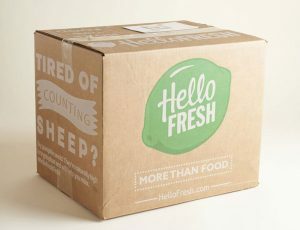 Always striving to stay one step ahead of the competition, Hello Fresh partnered with Cascades, Inc. (a large Canada-based sustainable packaging manufacturer) in an effort to make its products even more eco-friendly. If you are trying to reduce your carbon footprint and appreciate advancements in the field of environmental protection, join us as we take a closer look at this latest sustainable packaging brought to you by one of the greatest meal delivery services on the market. Being the first in anything is a big achievement and Hello Fresh really hit a home run with its new meal kit boxes, otherwise known as the northbox™ insulated containers. It is officially the first U.S. company to use these boxes, which are designed to keep food perfectly fresh during transport while making the recycling part as simple as it can be. This is important because the main reason why most people do not recycle is because it is easier for them not to. 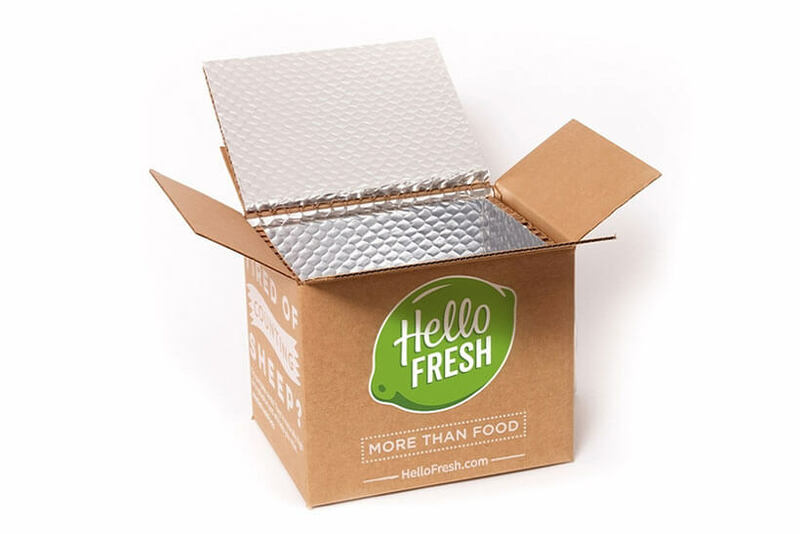 By making recycling a breeze, Hello Fresh hopes to encourage a larger number of its customers to properly dispose of their meal kit boxes. The northbox™ containers do a great job preserving the quality and freshness of the food and they do not call for a long process of sorting before recycling. Let’s focus on the features that make the northbox™ containers different from the previous sustainable box models. First of all, their environmental protection value is increased by the employment of eco-friendly practices at both ends: the production and the disposal. It is the first paper-based insulation of its kind in the US and its main purpose is to make it easier for the consumer to recycle it once it is no longer of use. However, it is also entirely made of 100% recycled paperboard, which means that waste reduction takes place even during the process of production. Both the box and the insulator consist exclusively of recycled material, which is certified by the Rainforest Alliance®. This speaks in favor of its compliance with the best eco-friendly practices. The high-quality of this advanced insulating technology is proven by a number of thorough tests it has passed with flying colors. It satisfies rigorous international standards of sustainability, which means that it got the green light from the highest world authorities in this field. Whether you recycle or not, if you are a Hello Fresh customer, you now get the chance to become a part of something great with hardly any effort. This company, along with the scientists behind the northbox™ containers, has done all it could to make recycling easy for you. The next time you order, throw your box in the right bin and enjoy the wonderful feeling of pride that comes from knowing you have done your part in saving the planet.